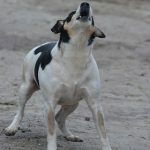 The owner of a dog that bites someone else is considered responsible for the behaviour of their animal, regardless of whether they encouraged the dog or not. But, according to section 17 of the Companion Animals Act 1998, anyone who “sets on or urges a dog” to attack or bite is guilty of an offence. Even if the other person isn’t injured, it is still an offence to encourage a dog to bite. Assault in NSW carries similar penalties to encouraging a dog to attack someone, but offences involving animals are generally dealt with under the Companion Animals Act, rather than as assault charges. 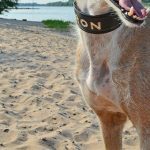 What are the penalties for encouraging a dog to bite? If you have been charged with encouraging a dog to bite, there are a number of penalties that may apply, depending on the circumstances. Even if your dog doesn’t actually bite anyone, you can still be charged if the prosecution can prove that you encouraged your dog to harass, chase or otherwise attack a person or another animal. If your animal hasn’t previously been declared a dangerous or restricted dog, you will face a maximum fine of $2,200. If the dog has already been classified as a dangerous dog, the penalties increase. The maximum penalty for encouraging a dangerous or restricted dog to bite in NSW is two years imprisonment. You can also face fines of up to $22,000. Anybody who is convicted of encouraging a dangerous or restricted dog to attack will also permanently be prohibited from owning or being in charge of a dog in a public place. What if my dog bites someone without being encouraged? As a dog owner, you are considered responsible if your dog attacks another animal or a person, even if you do nothing to prompt the incident. The penalties include fines if your dog is not a restricted or dangerous dog. 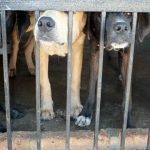 If the animal is a restricted or dangerous dog, the penalties can include imprisonment in cases where the attack or bite was as a result of not complying with dangerous dog restrictions. 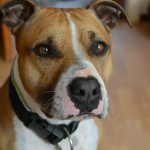 Will my dog be classified as a dangerous dog after it has attacked someone? If your dog has been involved in an incident where someone else was attacked or injured, you may receive a notice of intention to declare your dog dangerous. When you receive this notice, you have 7 days to lodge a letter of objection requesting that the Council refrain from declaring your dog to be dangerous. A lawyer who is experienced in dangerous dog cases can prepare and send this letter on your behalf. Council is required to consider the contents of the letter before declaring your dog to be dangerous. If, however, Council neverthless declares your dog to be dangerous you have 28 days to apply to the Local Court to have the declaration revoked. Your lawyer can make that application on your behalf and try to negotiate with Council to impose less stringent requirements upon you and your dog. It is a good idea to challenge a notice of intention to declare your dog dangerous by writing a letter of objection. If your animal is declared dangerous, you will be required to abide by a number of rules, which can be restrictive for you and your dog. The most stringent of those restrictions is that your dog will have to live in a precribed ‘dog enclosure’ and will not be allowed out of that enclosure unless it is muzzled and on a leash. In many cases, a written objection can lead to the Council refraining from declaring your dog to be dangerous. 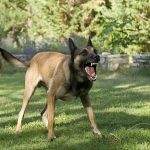 If you are facing charges for encouraging a dog to attack or for an unprovoked incident involving your dog, it is advisable to seek legal help from a lawyer experienced in defending dog attacks. While encouraging a dog to bite in NSW might not lead to assault charges, it is still a serious offence that can have serious consequences, such as imprisonment. An experienced dangerous dog lawyer can help you understand the potential penalties, and potentially persuade the council to give you a less severe penalty, or drop criminal charges altogether. 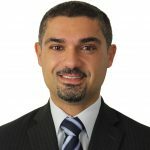 Sydney Criminal Lawyers® is NSW’s most experienced and successful law firm when it comes to ‘dangerous dog’ cases. We offer fixed fees for all dangerous dog and dog attack cases including set fees for preparing letters of objection, appealing against dangerous dog declarations and for court representation in dog attack cases.